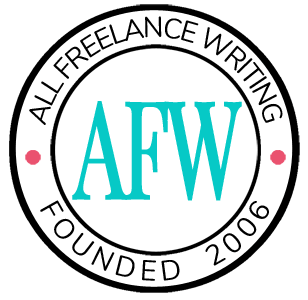 Do you ever land bad freelance writing clients? Maybe they're too needy. Maybe they don't pay on time. Maybe they expect the world while paying next to nothing. These aren't good clients to have. Yet many freelancers face these situations. You don't have to. Here are three simple ways you can better insulate yourself from bad writing clients. As a business owner, you can't say "yes" to everyone. You have to be able to turn work down when there are signs that a prospect will turn into a nightmare of a client. If you take on that client anyway, you really have no one else to blame. So say "no." Sure, that means you won't have that gig bringing in income. That's life. You move on. You find another, even better, gig. The more time you waste with bad clients, the less time you have to find and land great ones. This is one of the reasons I push the idea of building a writer platform so much here. You build your visibility and your network and gigs find you instead of the other way around. If you have an effective platform, chances are you'll have more prospects coming to you than you can take on. That means you can choose to work with the best and not feel guilty about saying "no" to others. It's also another chance to network as you refer the "no" gigs to other colleagues (just don't refer gigs with major warning signs or you could hurt relationships more than you help them). Clients who pay very little don't have much invested in the project. If they aren't willing to pay for professional work, they're less likely to respect you as a professional (in their mind, you might just be some amateur doing the job for "play money"). It's easier to say "it's only a few bucks, so it's not a big deal if I pay late." They know it doesn't make much sense for you to go to collections or sue them in small claims court if they screw you out of a very small payment. Clients who pay next to nothing are either cheap or not properly funded. In either case, they need to squeeze as much value as they can out of every cent they can. This is why low paying clients are sometimes even more demanding than those paying professional rates. The best way to avoid this kind of treatment is to raise your rates to professional levels. Don't sign over all rights to an article for $10 for example. Those writers are, and always will be, replaceable. If you want respect as a professional writer, you need to show that you're not that easily replaceable -- that you offer value the extremely low-priced writers do not. Charge what you're worth, and you'll immediately kick a large number of bad prospects off your doorstep. When you're desperate for income you're probably more likely to say "yes" to any project that comes along, bad client or not. So you need to come up with a plan to get out of that desperation phase. One way to do that is to create alternative income streams. This is an especially good idea early in your freelance writing career when you probably don't have clients beating down a path to your door yet. Offer another freelance service (like design or marketing consulting) so you can choose the best prospects from both markets to work with at any given time. Publish and sell short e-books and reports. Run a niche blog. Earn income through ad revenue while you build an ongoing portfolio piece to attract new clients. It's all about diversification. Just like you shouldn't rely on any single client too heavily, you shouldn't rely on one income stream either. The more you diversify your incoming revenue, the more insulated you are against one of them failing (like a bad client refusing to pay on time). It's basic math. The more clients you need to work with, the better your chances are for coming across a dud in the mix. So rather than looking for short one-off projects, focus on existing clients and building regular contracts. Regular clients are people you have an ongoing relationship with. They're more invested in that relationship. After all, it's easier to keep a good freelancer they're happy with than to spend time and energy trying to recruit one that could adequately replace them. It's win-win. Reach out to past clients and pitch ongoing gigs (like one or two articles into you managing their blog on a monthly basis). And keep existing regulars happy (within reason). The more regular gigs you have with clients you know and trust, the less time you'll have available for those potentially bad prospects to get on your schedule. You won't always know up front if a prospect is going to turn into a bad client. Look out for warning signs, and know when to say "no." If you do land one, don't be afraid to "break up" with them after your current project. And work hard to maintain the relationships you have with good clients and build other income streams. If you do these things and make a conscious effort to avoid the cheapskate, deadbeat variety, you'll never have to take on a bad client again. Great advice, Jenn, especially about charging professional rates. That really eliminates the time wasters. Asking for a deposit helps too. Very true. Because I charge up front, especially for new clients, I tend to forget about the deposit option. But when clients lay out money up front, they’re much more likely to work with you to get the project done (as opposed to dragging something out, holding that payment over your head if you don’t put up with absurd requests). I haven’t ever charged up front for a project, but it’s a good idea. Last week one of my longest-term clients decided to discontinue working with me and it was such a relief. Things were just never easy between us, but the experience was certainly educational. Since working with that client, I’ve learned to ask some specific questions and to be a bit more guarded in what I offer when making proposals – both steps that have helped insure that I don’t end up in another long-running, but uncomfortable, client relationship. Number 3 seems the easiest way to go, ad is what I’m working on now. Number four is only learned by getting burned by one or two bad clients. I don’t think you have to get burned to appreciate the good clients. Some of my best clients were some of my earliest, and they’ve stayed and grown with me over the years. I can only think of two truly bad clients I’ve dealt with. And really, they were regulars at first too. One refused to pay for a project because he decided he no longer wanted to send the press release out (after it was written) due to other business changes completely unrelated to our agreement. I informed him that wasn’t appropriate. He still hasn’t paid to this day (my only nonpaying client), but had the nerve to contact me later on to ask for a half price press release. Needless to say I turned him away. The other was just an incredibly needy client who hounded with questions and minor edit requests constantly (with some edits being reversals of past edit requests). And they seemed to think I should consult for free for months after a project was completed. Nice person, but it was pretty unprofessional and a major drain on my time. Eventually I had to cut the cord. My point is that sometimes you don’t know the bad clients right away, and even the good can go bad. But that doesn’t mean you shouldn’t try to build those long-term relationships and ongoing gigs until you’ve been burned a few times. A simple one-off project early on in your career can be enough to kick off a years-long recurring freelance writing job. If you look out for the warning signs, you can avoid most of the duds right from the start. One of the first designers I cold-called, way back in 1999, has not only been one of my best clients, they have been an endless spiderweb of referrals. Any efforts I have put into that relationship–tight deadlines, demanding sub-clients, prioritizing their projects over others–have paid for themselves many times over. Conversely, I think I’ve become better at spotting potential problem children, which usually comes down to…wait for it…people who bicker over money at the outset. I have one high-maintenance client who didn’t flinch at paying nearly double my hourly, so that’s just hunky-dory. When it comes to diversification, I’m also a big believer in getting a foot into a variety of industries and types of media. That has really saved me through the churn of economic cycles in the past decade-plus, and one of the reasons that the common advice of “find your niche” has never made much business sense to me. YMMV, of course! We’ll have to agree to disagree on the “find your niche” issue. In my experience, freelancers always earn more over time when they specialize as opposed to being generalists. And if you know what you’re doing on the marketing front, a recession is a gift to a freelancer — not a detriment, regardless of your specialty area. That’s not to say a freelancer can only have one specialty, but there’s a big difference between one or a few specialty areas well-managed and a “do it all” generalization approach. And even if you find a niche, you can always diversify the types of projects or the media you choose to work within. You’re right on about referral relationships. They go way beyond writing colleagues. Other types of freelancers (like the designer you mentioned) can be some of the best referral sources around because there’s no direct competition. These are all great points, especially #3. Even when all of your clients are ‘winners’, #3 is critical! I would add, establish business standards and expectations and share them with you clients. Setting professional rates is a first step, but I also make clear when/how I expect to be paid; my preferred method and process of communication; policies and expectations around rewrites and rush jobs. The clearer the boundaries, the healthier the relationship. I try to include most of that information on my website. Then I direct prospects there for the basics rather than rehashing things every time. In my experience, it’s tougher for them to argue later when the info is publicly mentioned and applicable to everyone I work with than when they receive (and then lose) an email. For me that means two rounds of edits. I charge extra if an “edit” is really a change in scope from what was originally agreed to. And I charge extra for more edits beyond those two. It helps streamline feedback on the client side when they have multiple people giving input, and it saves me a bit of hassle. I’m usually willing to negotiate a bit with long-time clients, but I find once we’re set on policies very few ask for changes later. So I agree completely. Having the boundaries set up front can make a huge difference in the ongoing working relationship. That’s a great way to put it. 🙂 The wrong clients can do more to damage your reputation (not to mention sanity) and cost you more income opportunities in the long run than they provide in immediate income. It’s important to weigh the pros and cons of any working relationship, but equally important to remember that money isn’t everything.